Dr. Moon is extensively published on a broad range of topics, with a focus on cerebrovascular surgery. He has published over 40 articles in leading neurosurgical journals as well as numerous textbook chapters, and has been invited to speak at over 30 national conferences. He is the editor of a textbook on arteriovenous and cavernous malformations. He was a concussion and head trauma consultant for the Arizona State University Football team in Tempe, Arizona. In 2015, he was awarded two consecutive Synthes Cerebrovascular Awards by the American Association of Neurological Surgeons and the Congress of Neurological Surgeons for his contributions in cerebrovascular outcomes research. An ad hoc reviewer for many of the top neurosurgery journals, Dr. 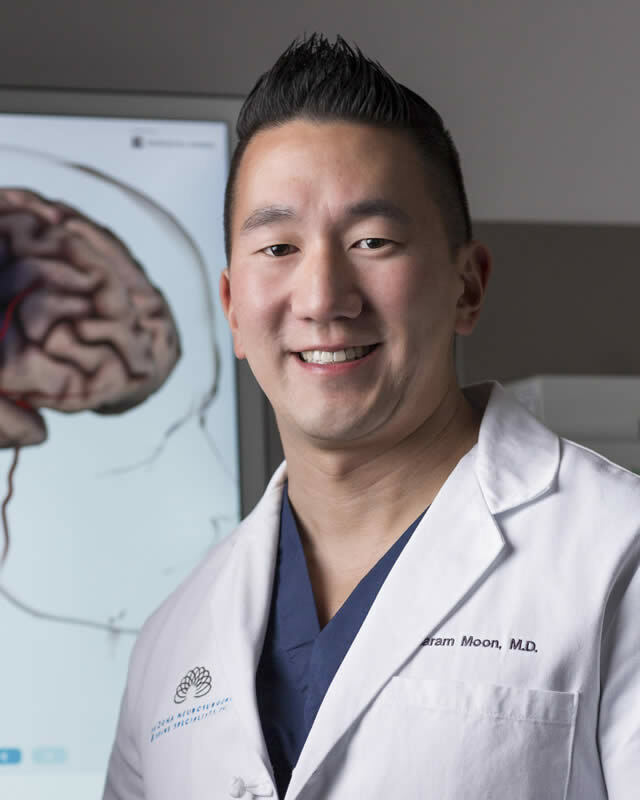 Moon is also a member of the Society of Neurointerventional Surgery, the American Association of Neurological Surgeons, and the Congress of Neurological Surgeons. Dr. Moon contributes to a monthly brain aneurysm survivor support group at Banner University Medical Center, the first and only certified comprehensive stroke center in the state. "I needed emergency back surgery - so I had no opportunity to do research on who, where, or what the surgery meant. My initial judgment of him was solely based on the success of that surgery. When I was finally able to speak with him while fully coherent (without pain/painkillers) I was even more pleased - he was willing to take time to answer my questions, and work with me as I navigate my healing process. I am so happy Dr. Moon was there to be the one to do my emergency surgery. I fully recommend Dr. Moon!! Make an appointment and check him out to discover for yourself - at least that's what I'm telling my friends to do - cause I believe he can help you too." "Excellent surgeon and excellent follow-up care!"